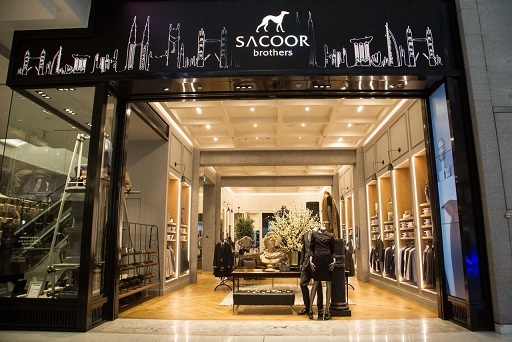 Portuguese fashion brand Sacoor Brothers re-opened its flagship doors at The Dubai Mall with a fresh new concept and larger than life elements. A beautiful blend of novelty and modernity, yet elegant and refreshing. To celebrate this special occasion, a Grand Opening red carpet event was hosted in store and graced by key media, influencers, business partners, the Portuguese ambassador of the UAE, other dignitaries, CEO Sacoor Brothers Middle East and the Sacoor Brothers themselves. Bringing Portuguese art to the forefront, the store features 7 hand made pieces by renowned Portuguese artists. Adding to the much appreciated notion of personalization are the store’s window tailors. 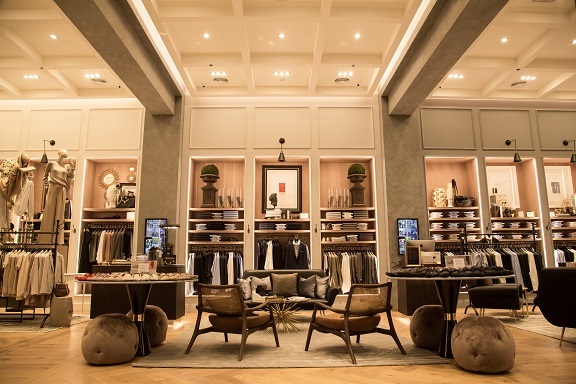 Shoppers can watch expert tailors altering in real time inside the store windows. Designed on the lines of innovation,dynamic LED screens are found throughout the store. Two interactive touch screen social media walls display any posts tagged with #SacoorBrothers, offering an engaging experience. Promoting a healthy lifestyle, Sacoor Brothers brings the first-ever in store juice bar “Frutaria”, serving 4 types of fresh juices daily for a variety of complimentary refreshments. part of their lifestyle at present and in future.